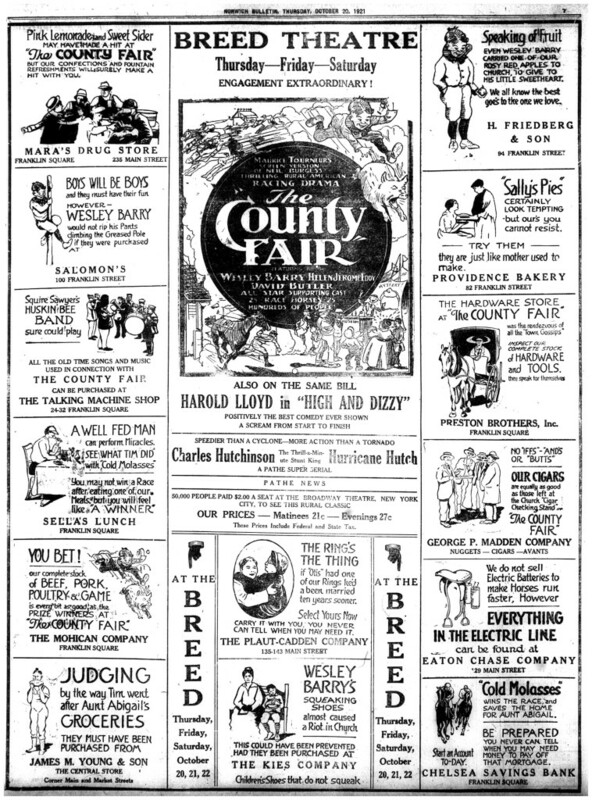 In October of 1921, the businesses of the town of Norwich went all out to be associated with the local premier of the 1920 film “The County Fair.” The degree to which the local community identified with the characters and moral of the homey film, in which a kindly but aged New England woman who can’t pay the mortgage on her farm is saved by the victory of her horse in a race at the county fair, is evidenced by this full page of advertising, with the film showing at its center. Each local business has associated itself with some counterpart in the cast or in settings central to the plot of the movie. 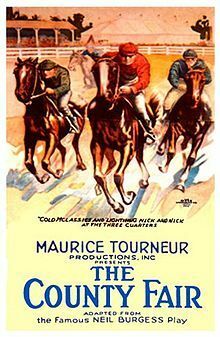 If you want to know what so captured the imagination of Norwich in 1921, you can watch the film on Youtube. This ad is only one of the many culturally illuminating advertisements that the Connecticut Digital Newspaper Project is making available from the Norwich Bulletin, the Bridgeport Evening Farmer, and the Bridgeport Times via Chronicling America, the historic newspaper database of the Library of Congress. Browse the Norwich Bulletin for 1914-1916 at http://1.usa.gov/1vwIJO6 . More years coming soon!